Although we tend to think of Advent as backward looking and historical, recalling the first coming of Christ at his birth as a little child, the Church, in its celebration of Advent, is always looking forward, to the Second Coming of Jesus, to the Parousia, when all will become all in Christ and when his heavenly Kingdom will be fully realized. 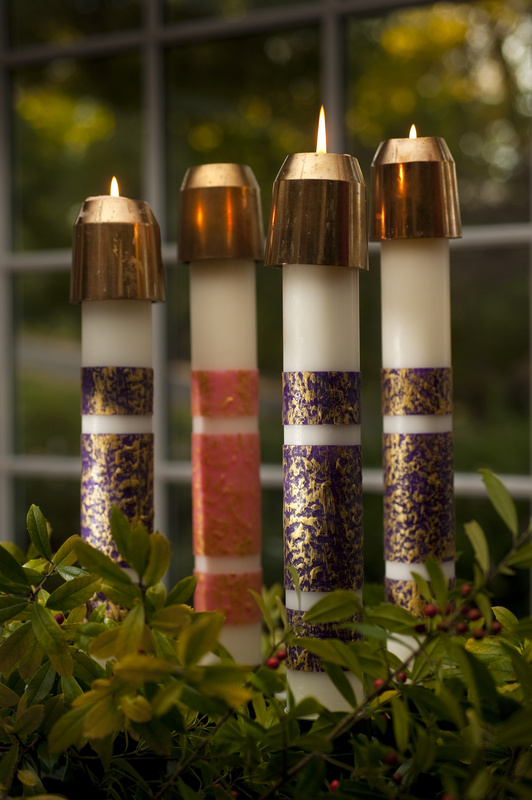 During Advent, we the faithful, renew our expectation and our ardent desire for the coming of the Lord. Why? Because we live in the earnest hope, in the devout expectation that this world, redeemed from its ancient burden of sin and separation from God by the first coming of our Savior, will be brought to its fulfillment when the Lord comes again. For me, Advent has a particular association with the prison writings of Fr.Alfred Delp, a German Jesuit martyred in the final days of World War II because of his resistance to the Nazis. During the Advent of 1944, while in chains awaiting trial for treason, he secretly wrote a series of meditations on Advent and Christmas in his prison cell. I first began reading them as a freshman in high school and I read and re-read them each year. His meditations are probably why there are some years when I find myself looking forward more to Advent than to Christmas. Not because I don’t love Christmas, but because I need the wake-up call of Advent in my life. Fr. Delp’s message, as noted in the introduction to “The Advent of the Heart” * the English translation of his writings and homilies on Advent, is that this season particularly “calls us to an encounter with God.” In his reflections on Advent he observes that this encounter begins when we are shaken awake from our spiritual lethargy, indifference and hopelessness. The life-changing encounter of Advent is then deepened when we are called to live lives of integrity and authenticity. From this living encounter with the Lord, we are then called to confess and proclaim our faith as we respond to God with reverent awe. 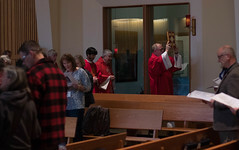 Because Advent is a season for spiritual awakening, for turning to the Lord in faith, the Church’s Advent liturgies invite us to listen to the voices of the Prophet Isaiah and St. John the Baptist who heralded the coming Messiah and Israel’s salvation even as they called the people to repent and turn back to God by being just and charitable. As during Lent the Church prepares for the celebration of Christmas by going on retreat. As during the Lenten retreat, we pray, fast and give alms. Yet the character of the two seasons are different. 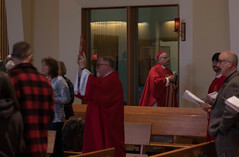 Lent is primarily focused on deepening our conversion of life in preparation for the Easter sacraments as the faithful accompany the catechumens to the font where they will die and rise with Jesus in the waters of baptism. But during Advent, our devout practices, especially almsgiving, have a different character. We are merciful and generous to the poor and to those in need, in imitation of the mercy and generosity of God who gave us his Son as our Savior and our brother, a gift that we could never repay. Our generous giving to the poor, (which is the practice not only among active Christians but has become the custom in every society shaped by the gospel), imitates and participates in the generosity of God. But it is also a way each year in which all of us experience a glimpse of the kingdom of God from which no-one is excluded, the kingdom of generosity, sharing, magnanimity, and above all, justice and peace. In the reading from the prophet Isaiah for the First Sunday of Advent, we are shown a lofty vision of the coming kingdom, in which every nation and people will come in procession to the house of the God of Jacob so that they may be instructed in his ways. What are his ways? An end to division, to strife and conflict, a peaceful and just world in which no-one dies of hunger, unsafe water and preventable diseases Not as some utopian ideal but as a lived reality. During Advent we as disciples of Jesus are given the opportunity to renew once again our vocation to be visible, credible signs of the kingdom of heaven. In this spirit, Pope Francis launched on December 10th a worldwide campaign of prayer an d direct action to end global hunger, called One Human Family, Food for All, coordinated through Caritatis Internationalis. In the United States, Catholic Relief Services (CRS), along with Catholic Charities USA (CCUSA), are member organizations of Caritas. This campaign calls on Catholics and men and women of good will to a renewed effort, personal and collective, to end hunger globally and locally. During this Advent, may we be awakened from our slumber and learn to see with the eyes of our loving and merciful Father, who has a special love for the poor, the lost and the forgotten. May this season awaken in us the longing to encounter Christ —who was born into the poverty of our human condition—in our neighbors who are hungry and in need of their daily bread. *Advent of the Heart: Seasonal Sermons and Prison Writings: 1941-1944 by Fr.Alfred Delp, Ignatius Press, San Francisco 2006.